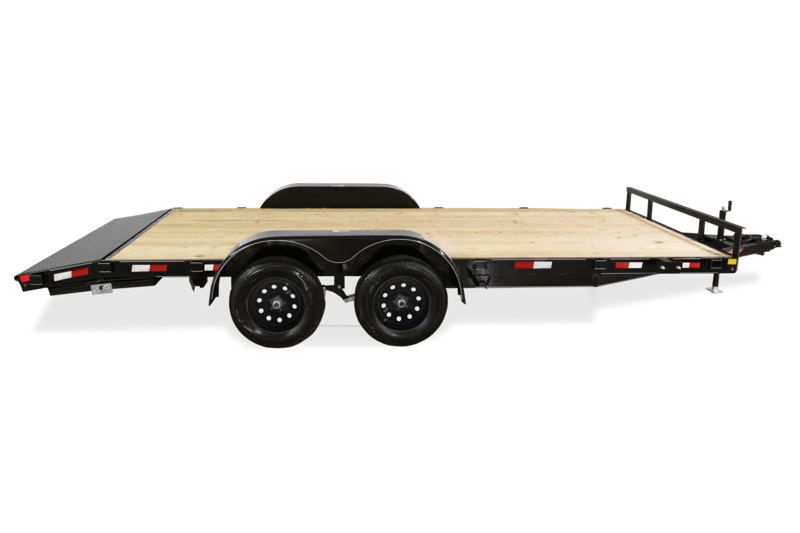 The General Duty Flatbed is the perfect entry level car hauler or general use trailer. 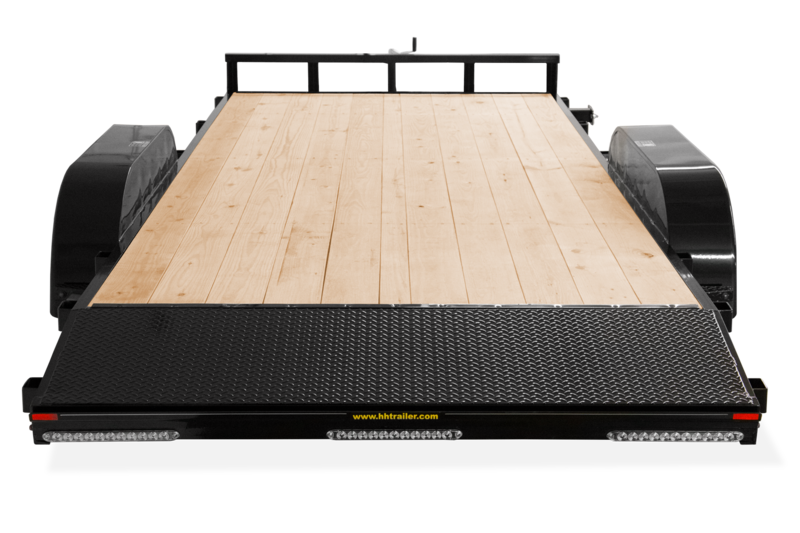 It offers ramps in a lockable carrier, 7000lb GVWR, leaf spring suspension and radial tires standard. 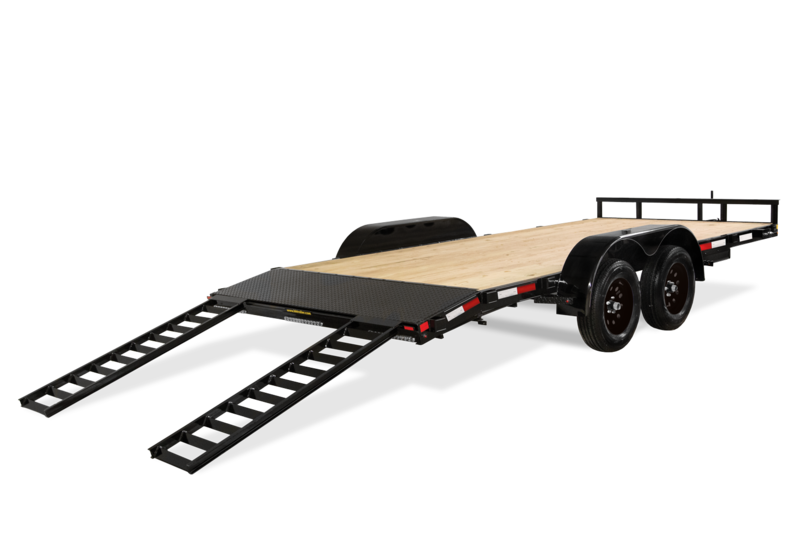 It will provide you all the necessities for a safe and smooth haul. 82" x 14'+2' 16 3/4"
82" x 16'+2' 16 3/4"
82" x 18'+2' 16 3/4"
82" x 20'+2' 16 3/4"
82" x 14'+2' 23 1/4"
82" x 16'+2' 23 1/4"
82" x 18'+2' 23 1/4"
82" x 20'+2' 23 1/4"
82" x 14'+2' 82 1/4"
82" x 16'+2' 82 1/4"
82" x 18'+2' 82 1/4"
82" x 20'+2' 82 1/4"